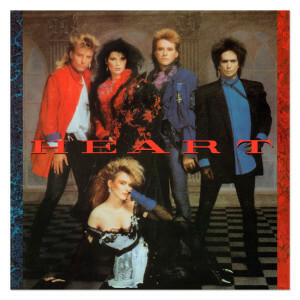 Note for note, song for song, Heart’s self-titled masterpiece Heart is recognized as one of the classiest, hippest and equally creative musical affairs ever waxed and continues to be one of their most loved albums in their very long and captivating catalog. It is with much respect and honor to continue the Heart /Friday Music 180 Gram Audiophile Vinyl series with the summer release of their incredible masterwork Heart. Impeccably mastered by Joe Reagoso, Heart is truly a classic masterpiece now impeccably revisited in the audiophile domain. For this limited edition first time 180 Gram Audiophile vinyl release, we are also including a first time rare gatefold cover, which includes all of the original graphics as you remember them. It’s just another special extra to go along with the amazing excitement that this HQ vinyl release delivers. Heart by Seattle's favorites Heart….. From your friends at Friday Music…180 Gram Audiophile Vinyl…WHAT ABOUT LOVE!